BreakMentalDown: Almost halfway to halfway to my half birthday--let's full on celebrate! Almost halfway to halfway to my half birthday--let's full on celebrate! I don't want to be one of those people who gloats and trumps up “big” days that nobody really cares about, but this relates to me and is therefore quite big. In a little over nine months, I'm turning 27-and-a-half. I know, I know, you only turn the big 27.5 once, so I definitely need to plan big. But I think the best way to celebrate this momentous occasion is to let everyone know, it's all right to celebrate half birthdays. solely to have additional cake. This is only half true. Whenever I mention my half birthday to someone, no matter my age, they proclaim me immature and demote me to the level of a six-year-old. The worst part about this is it's not even a six-and-a-half-year-old, just a plain six-year-old. And that hurts the most. But there's hope in this world. My dad's old insurance agent used to hand out sticks of gum on clients' half birthdays, because “Actuarily, it's your birthday.” This had the double disaster of being a pun and requiring talking to an insurance agent. However, for free gum (hopefully of the Yikes! Stripes! Fruit Striped Gum! variety) and acknowledgment of half birthdays past the age when anyone should care about them, I'll gladly talk to said agent! With this strong support for the half birthday, you're probably planning on adding your correct age to everything from your stationary to other people's stationary. And I fully support this. However, don't get too precise, as that comes across as just trying to hard to make every day a birthday. Whenever I tell my mom I'm 26 and a half, she's quick to point out I'm several twelfths older than that. I'm well aware of this fact, but aside from math nerds like insurance agents or babies, who actually gets that precise in their birthday numerology? Absolutely nobody! It's leading us down a slippery slope towards 21/365 birthdays or even 211/365 birthdays. And that just detracts from the joy of the half. So I never do that. A half is a half is a half. It's the perfect way to celebrate the advancement of age without the pretentiousness/depression of being a step closer to an untimely end. 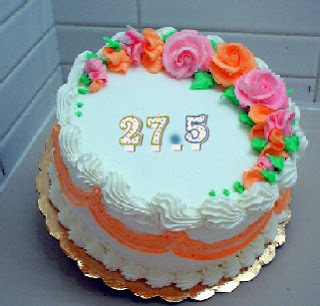 In further support of my half-birthday good theory, just think of how many people share the SAME half birthday. 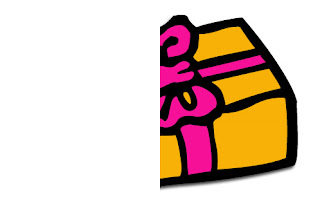 With a sample size of just 57 people, there's a 50 percent chance that two people have the same half birthday. That's right, a HALF have a HALF chance of having a HALF birthday together. If that's not the ultimate justification for the halfness of birthdays, I do not know what is. But really, my solution to this whole quandary is to celebrate my birthday as my half birthday, because I know it means I'm halfway to my half birthday, which I treat like my real birthday. But as we've established, I treat my real birthday like my half birthday and my half birthday is real, so basically, I age about 27 years every March... or September... or maybe even October. I'm really not sure which one slaps on the decades. Either way, when that September or that March or that any of the other 10 months of the year rolls around that features a time six months from your birthday, you must celebrate. Celebrate long and hard, because you never know when you're going to half age again. When March comes around and I half age, please do raise a glass of Half-and-Half to me, and we shall celebrate like kings. Even better—half kings!